26 February 2014: The Coronation Street cobbles at the soap's former home at the Quay Street site in Manchester will be open to the public this spring and for a limited time only. Continuum is working with ITV to develop a behind the scenes, guided tour based around actual sets and props used in filming at the Manchester site over the last 53 years following the move of its production to MediaCityUK. 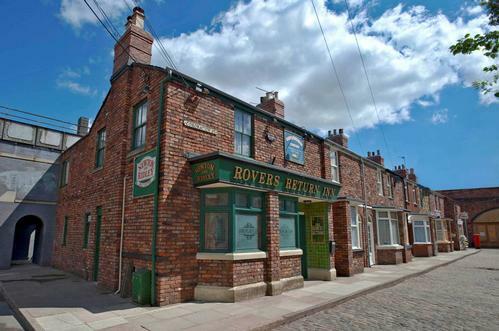 Visitors will be able to hear stories and fascinating facts behind the making of the world famous soap as well as walk down the hallowed cobbles and have a picture taken at the bar of the Rovers Return. Although most of the former Granada Studios Tour has long since gone, walking down the cobbles was the favourite part. The famous Corrie cobbles remain intact as well as selected stage sets in Sound Stage One which will be opened up for the very first time. ?We are delighted to be working in partnership with ITV on this unique opportunity. We will inject our enthusiasm and expertise in storytelling as well as creating a memorable visitor experience for all our guests around the sets and original cobbles of this world famous street. ?